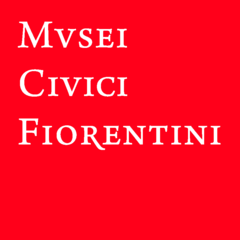 The Stefano Bardini Museum exhibits a great variety of sculptures, paintings, and objets d’art, from antiquity to the 18th century, with a majority of works dating from the Middle Ages and Renaissance. Bardini contributed to spreading the myth of the Italian Renaissance throughout the world, and showed his profound interest not only for the chief masterpieces of the period, but also for all forms of decorative and applied arts, which still constitute one of the most fascinating qualities of the collection. The layout of the museum does not follow chronological or geographical criteria, but arranges the works by their genres, according to an aesthic and scenographic standard. The collection items are set off by the blue colour of the walls, which have various gradations and tonalities, depending on the intensity of light in the various rooms of the mansion. Among the most noteworthy works are the Carità, by Tino da Camaino, the Madonna of the Apple by Donatello, the Madonna of the Ropemakers, also by Donatello, the St. Michael Archangel, by Antonio del Pollaiolo, and the Atlas by Guercino. Of no less importance are the precious collections of medals, bronzes, Asian carpets, the splendid fifteenth-century “cassoni” or clothes-chests, and the small but significant armoury.